I know I say this every week, but I am SO GLAD IT'S FRIDAY. This past week was super busy and I'm glad it's over - I have a feeling things will be slowing down in the coming weeks, and I'm looking forward to a break. Marathon training is in full swing, the weather is cooling down, and I'm more than ready to enter the homebody stage of the year. You can still come over, of course. I plan to have a regular cycle of tasty things coming out of my oven (scones! muffins! cookies! gingerbread! ), the pups will be under our feet, hopefully waiting from crumbs, and we'll keep the coffee warm. But before we get too ahead of ourselves, let's take a short look back, shall we? This week, the minuses kind of overwhelmed me. - Busy, busy, busy! 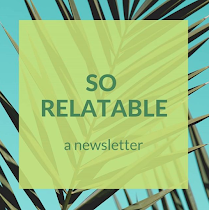 I only made it to one yoga class, the book I needed for my fiction workshop hasn't arrived yet, forcing me to rush around and photocopy the reading from a friend, and I'm behind on so many things (newsletter, other workshop, literary reading). I've been making progress, but it's been slow going and I'm definitely ready for the weekend. - I have to retake the GRE. Half the schools to which I'm applying require scores and half don't. The ones that do claim your scores won't weight very heavily on your chances of getting in - your portfolio is 90% of what matters - but they need them anyway. I took the GRE five years ago, which means my old score has just expired. Boo. Did I mention that this four hour long, standardized test costs $160? Double boo! I'm registered to take it on November 17th, so I'm sure I'll complain again before then. - We had to cancel our canoe camping trip. The impetus for the trip was a visit from Nathan's brother, but the Air Force decided that he didn't need leave right now. I'm actually kind of relieved - I can do my long run as scheduled and a weekend at home will help with the whole "ohmygodI'msobusy" feeling that's been plaguing me. - We watched half of the Dustin Hoffman movie "Little Big Man," but it was terrible so we turned it off. A bad Dustin Hoffman movie?! I didn't think it was possible. Alas, my friends. Alas. This week wasn't all bad, though. I mean, just look at these pluses! + As I mentioned yesterday, Calvin finished up obedience training! Not having to drive to Lufkin once a week will save me a ton of time and energy. I might even be able to start strength training again! + I had a really great run yesterday morning. Six miles before work, with an average pace of 9:38, despite the fact that I ran a hilly route, which tends to slow me down. I felt strong, free and focused from beginning to end, and I almost wished I didn't have to go to work and could run six more. It was a great way to start the day, and a great run to kick off my first week of marathon training. + My new favorite blog, A Practical Wedding. It's about weddings, yes, but it's also about so much more, and it never fails to bring tears to my eyes while my heart swells. + I can't really think of any exceptionally great things that happened this week, but know this: I am happy, healthy, and in love. I have two wonderful dogs and a cozy apartment. My windows are open and the fall weather floats in, helping me to sleep more soundly than I have in months. All of these things and so many more make every week, no matter how unexceptional, a plus in my book. And on that note, the weekend is almost here. See you on the other side!